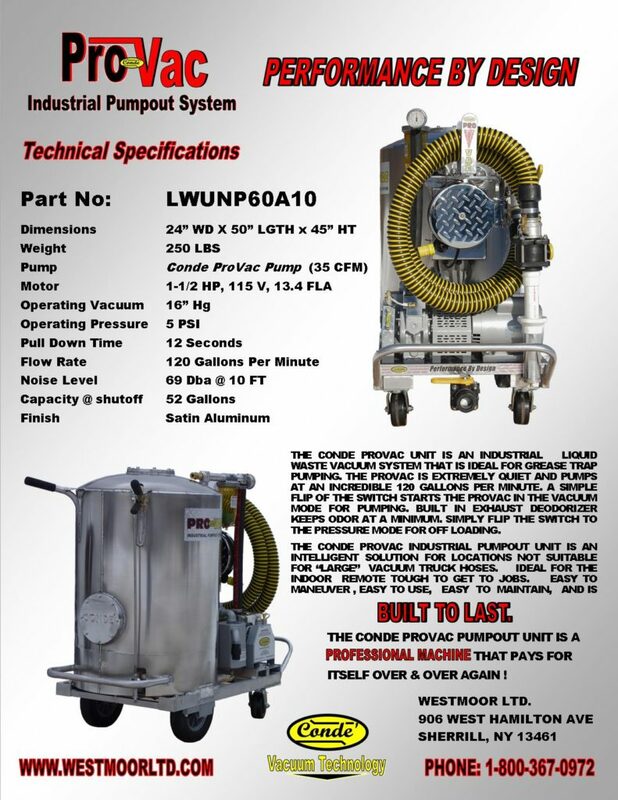 Westmoor Ltd. Manufacturs the Conde ProVac Portable Industrial Pump Out Station. 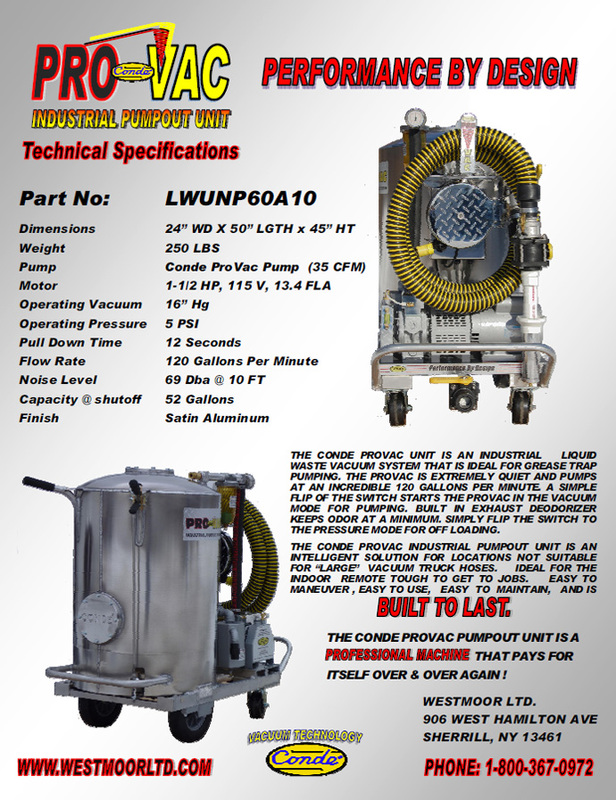 The Conde ProVac system is a portable vacuum pumping service unit designed for the most demanding liquid pumping applications. 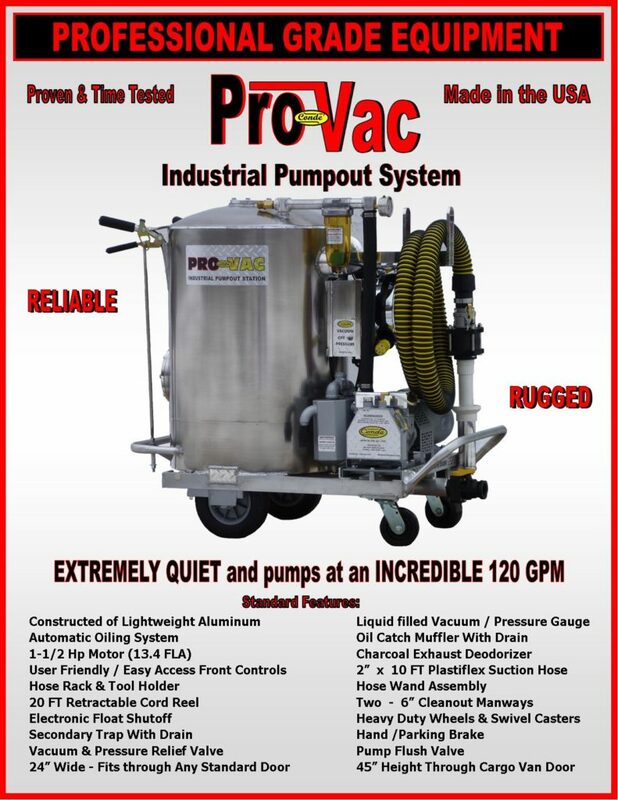 The ProVac unit with integral pressure off-loading is ideal for: grease trap service pumping, machine coolant pumping-cleaning, remote portable toilet pumping, marina vacuum pump out service, or any pumping and transfer of liquid waste. 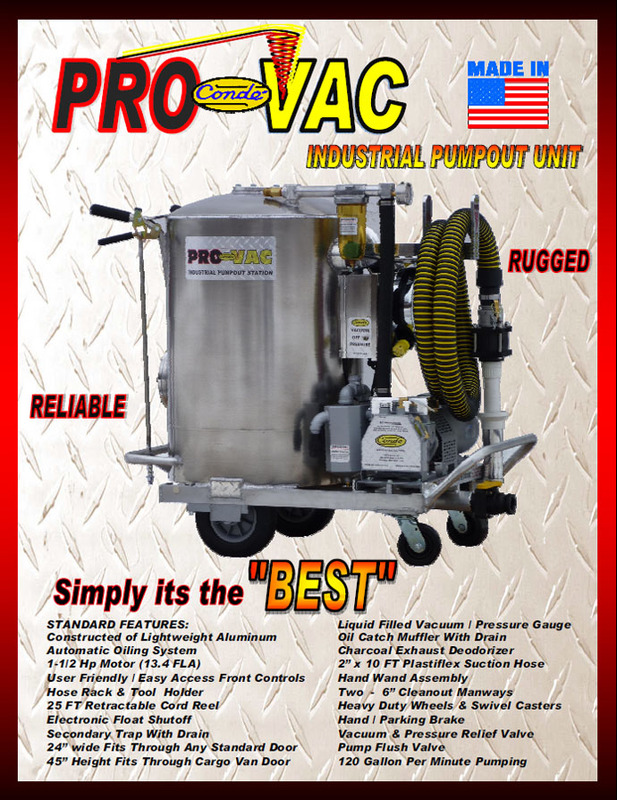 The heavy duty industrial quality ProVac is the intelligent alterative to throw away shop vacs.